This evening's meeting was wonderful! We sang and laughed a lot. A new victi...um, member, Kay, joined and she said she'll try to get to Austin to get a uke tomorrow. I don't blame her, we're a pretty impressive bunch. 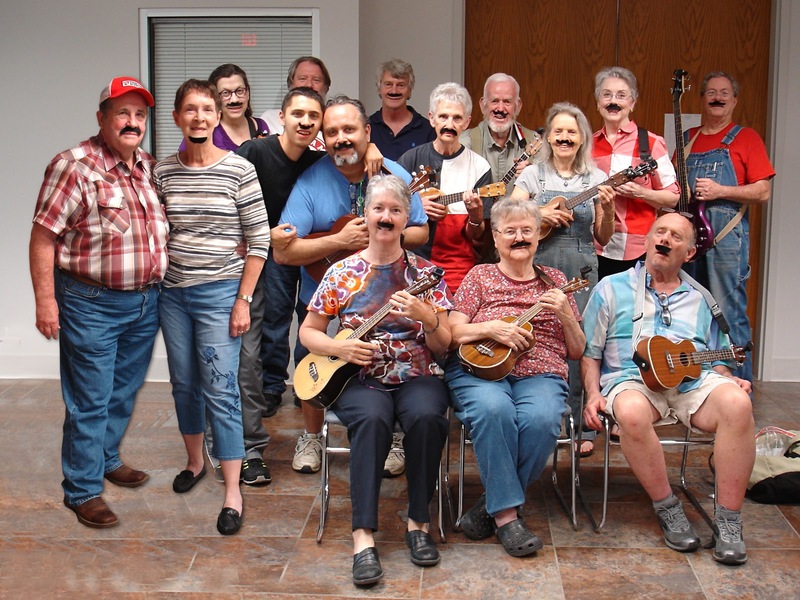 Since April 1st is just a couple days away, SOMEBODY thought it would be a hoot to disguise ourselves with mustaches. How did we do? Oh...I always list the participants. Dangit.